A troupe of actors have helped to highlight why some families in Coventry are needlessly living in poverty for an audience of the city’s social welfare practitioners. 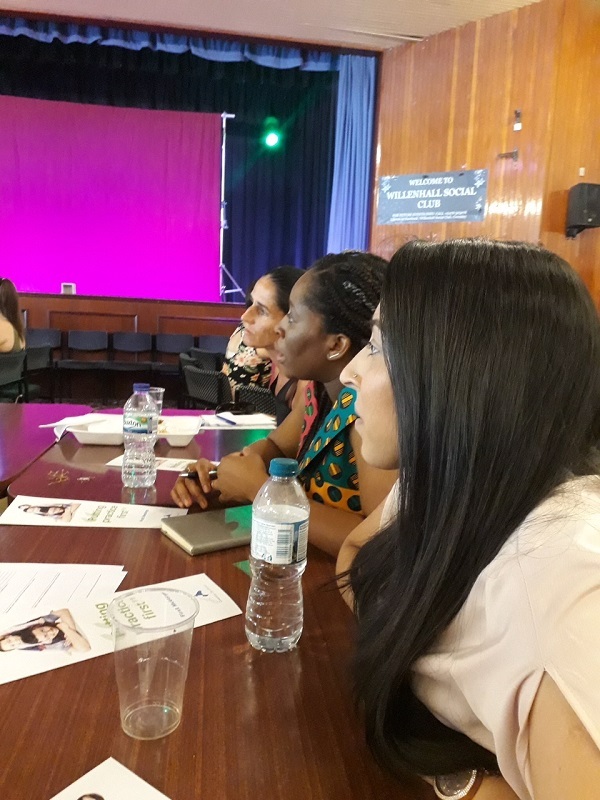 The ‘First Meetings’ session was part of Coventry City Council’s Practice Week 2018 at the end of June which aimed to bring together Children’s and Adults Services teams for a week of learning, developing and challenging the way they do things. 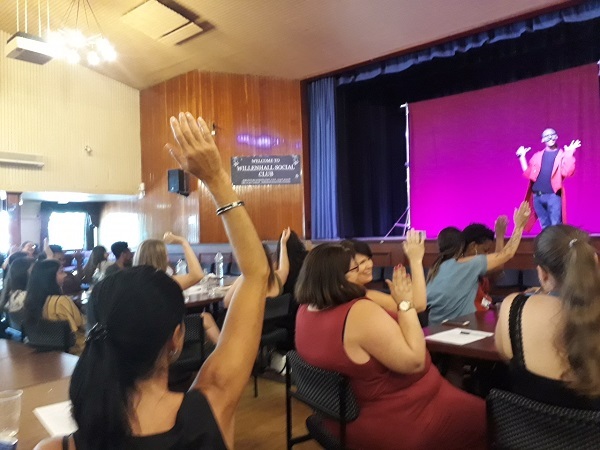 The session at Willenhall Social Club was put together by Ignite – a partnership formed by Grapevine and Central England Law Centre to demonstrate how vital first meetings are in creating lasting relationships that mean people or families can and will access ‘early help’. Early help is support and services offered in the early stages of challenges or problems that families may face such as parenting, education, health or financial issues. The idea being that with early help, families overcome these problems, become stronger and no longer need ongoing support from services or reach crisis point. Loosely based on real life cases, the performance focused on three stories exploring the kinds of problems families appear to have and the root causes which may lie beneath. Some causes are as preventable as mistakes in benefit payments, sanctions or missed opportunities to get financial support. Others situations will clearly be more multi-layered and complex but the golden thread running throughout is how the first interaction with a health, housing, education or social welfare professional can shape how help is offered and families’ enthusiasm to let the help in. The ‘First Meetings’ actors were professionals supplied by Geese Theatre Company which specialises in interactive theatre, drama based group work, staff training and consultation services for the criminal justice system. More than nine out of ten respondents agreed the session made them reflect on the importance of identifying people’s strengths as well as concerns. The session also offered an opportunity to get to know and learn from other professionals, find out more about what services are out there and to reflect on the usefulness of creative thinking in finding answers. It builds on work underway in Willenhall and city-wide through Ignite to raise awareness of the importance building good relationships early on and recognising poverty and its impact. Central England Law Centre and Grapevine have formed ‘Ignite’ with the ambition of nurturing stronger communities in Willenhall who get early and effective help. 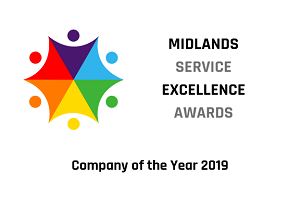 Our partners, Coventry City Council and WM Housing Group are using Ignite to learn how they can turn lives around and save money in the long run – changing how public services are delivered and needs met. Ignite demonstrates how the public sector can partner with people and communities in new ways… acting earlier, building strengths and releasing capacity.